Last time Anjeza went to Paris, she asked me about what I'd liked from the magic french city. I replied her "please, bring me Riccardo Tisci". So, when Christmas time has arrived, giving me her gift, she told me that "I couldn't find Riccardo, so I decided for Stefano Pilati". 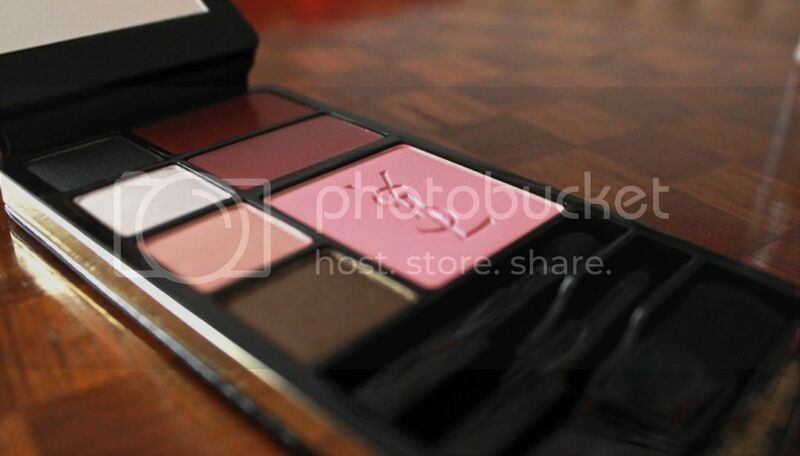 Very YSL Make-Up Palette Black edition is a special travel edition and it contains 4 eyeshadows, 2 lipstick, 1 blush and 3 brushes. 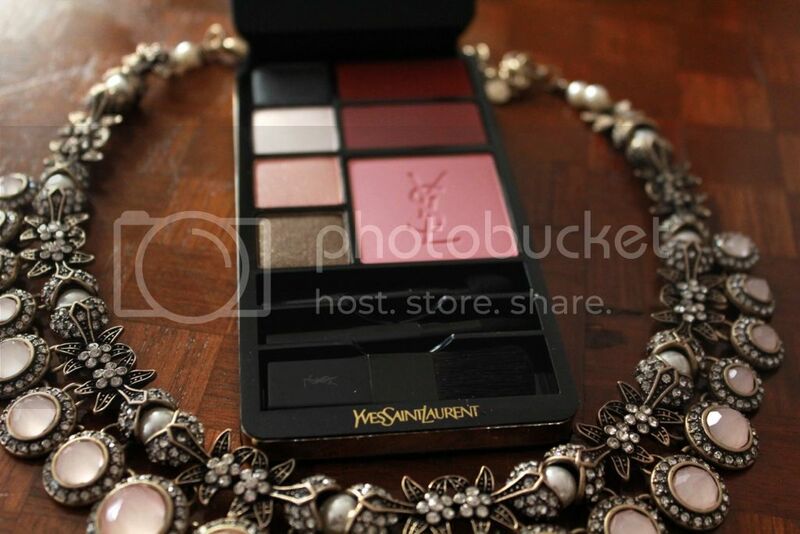 As any other YSL beauty product has a very glamorous box. 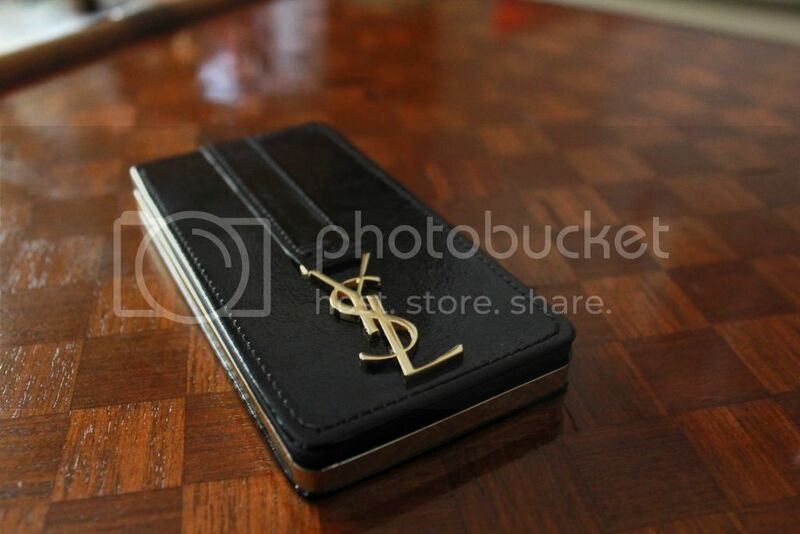 This is in black patent synthetic leather and with a gold YSL logo. 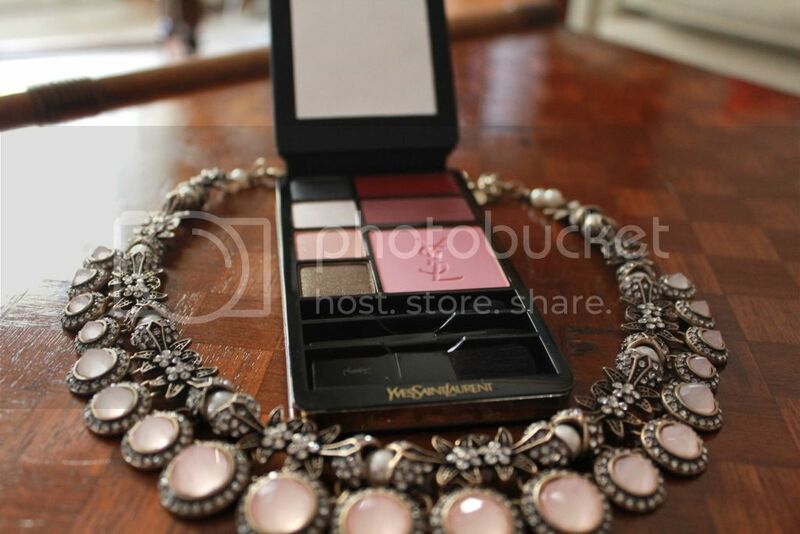 Both for an evening look or a day look, this palette has very wearable and chic colors. Sometimes into duty free shops you can find those lovely palettes, lovely to have always with you inside the bag, but also very sophisticated and with brand's classics or best products inside. I always have a look at duty free's products, in order to find a discounted touch éclat or a lovely make up jewels like this. God bless friendship and the perfect beauty gifts!